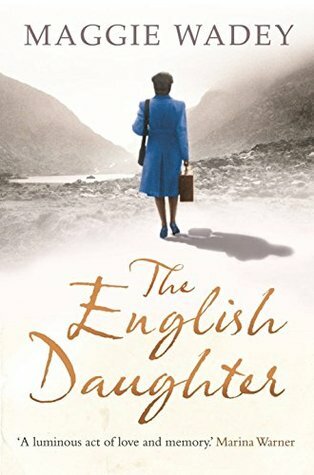 Today I'm featuring an upcoming read, The English Daughter by Maggie Wadey, which I recently purchased. The excerpt comes from a trade paperback version. From the beginning, my beginning that is, I had a strong sense of my mother as different. My English family were small, compact and ginger-haired; my mother was dark, taller than average, long-limbed and heavy-boned. She wasn't just different; she was special. She may have told us very little about her life, but I knew her soft white cheeks, her black hair rolled into glossy sausages - one above her brow, one at the nape of her neck - her low voice with its slightly foreign, musical cadence, her strong, careful hands that could suddenly become impatient. Her brown eyes were velvety, her thin brows two perfect arches. Her face expressed emotion very subtly, sometimes to the point of invisibility. A better indicator of her mood was her movements, the set of her shoulders, the exact position of her hands. As a child - and I was her only child - I learned to read these signs very accurately, not to understand her, but to predict her behaviour. Family histories are a fascinating subject. I have long been interested in my family's Irish roots and have begun to do some research into previous generations. A trip last month to the Irish town where my grandfather was born has motivated me even more.